Thirty-four years ago this week – on 14 April 1982 – my cousin Robert (Bobby) Burdan, died in a vehicle accident near Belleville, Ontario. He was 19 years old, and the youngest of five children of my aunt Simone (Mom’s sister) and her husband Robert (Bob) Burdan. My parents attended Bobby’s funeral, and made the journey by car from our home in British Columbia to Sarnia, Ontario. I remember how they both wanted to be with Aunt Simone at this heart-breaking time. 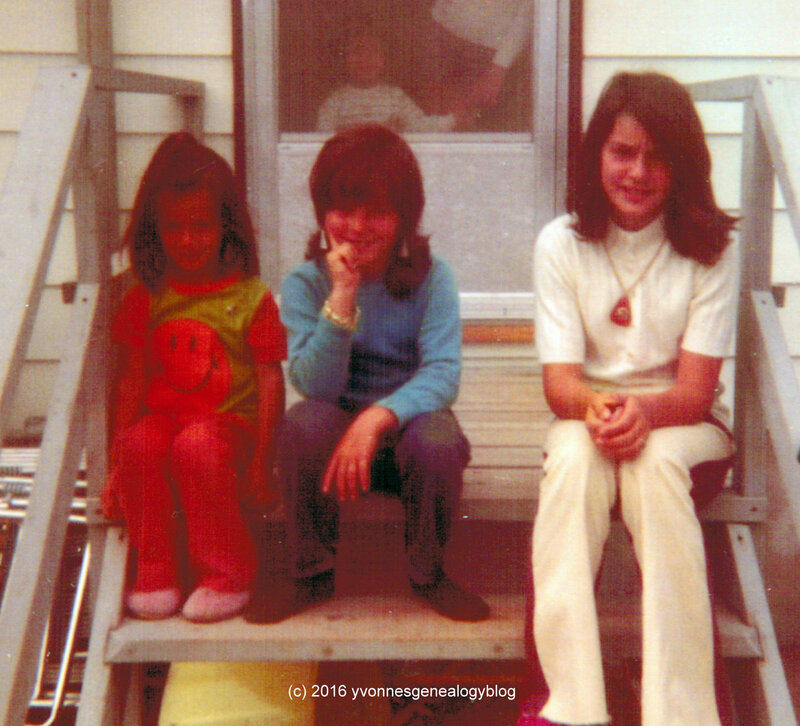 That’s Bobby in the centre of the picture sitting with my sister Marianne (right) and our cousin Kathy (left). The picture was taken on the back steps of our house on Maple Street in Timmins in the summer of 1972 or 1973. It’s the only photo I could find of Bobby in my family’s albums. I wasn’t sure if I should use it, because it seems a rather frivolous image (Bobby appears to wear a wig that belonged to my Mom), but then I thought it wasn’t disrespectful to remember the good times we had when he and his Mom used to visit our home.